Apple cider vinegar (ACV) has a long history of use as a healing food, a dieter’s friend, a food preservative, and for cosmetic and domestic cleaning purposes. ACV is the result of a double fermentation process. First apple juice is fermented to apple cider, which is then further fermented into apple cider vinegar. Apples are one of the healthiest of fruits. When they are double-fermented to produce ACV we have a powerful ingredient that is a staple in many kitchens across the world. Unfortunately the nutrient values of the apples are decreased, however ACV can increases our uptake of nutrients from other foods that we eat. Fermented foods optimise digestion by feeding the good bacteria in the gut, which in turn helps to maintain pH balance, increase nutrient uptake and support immunity. 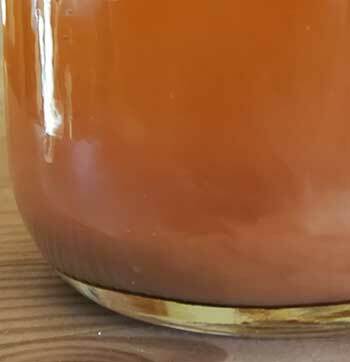 and with the mother—unfiltered so that it retains the beneficial Acetobacter bacteria, you can expect some sediment, which gives the vinegar a murky tinge. How can apple cider vinegar do all this you might ask? If all ACV did was reduce acidity in the body then that alone would account for multiple health benefits. When the pH balance within the body becomes too acidic unwanted bacteria, yeast, and fungus flourish, making it more difficult for the good bacteria to survive. ACV contains acetic acid. ACV is a rich source of malic acid and citric acid, which assist with metabolism and endurance, and the elimination of metabolic waste. Excess acidity can leach minerals like calcium, sodium, potassium and magnesium from vital organs, bones and teeth, in an effort to neutralize the acid and remove it from the body. As a result major organs such as the liver, heart or kidneys may be weakened. ACV contains 19 minerals, including: potassium, sodium, calcium and magnesium. These minerals synergise the body and help to maintain pH balance. For example, calcium is required for muscle contraction and magnesium for muscle relaxation. Potassium is essential for muscular activity, especially the heart muscle, which requires a balance of potassium and sodium, while the pumping of potassium and sodium requires magnesium. The concentration of calcium in cells is controlled by sodium. Pectin is an insoluble fibre found in ripe fruits. It is believed to be effective in removing cholesterol from the blood vessel walls, which can positively influence heart health.1 Although not conclusive, many research studies have shown that apple cider vinegar can help to reduce cholesterol, and to lower blood pressure and blood sugar levels. ACV also contains Beta carotene, an antioxidant and immune booster. Antioxidants help to fight the damaging effects of free radicals that can occur as a by-product of metabolic functions, or be introduced via the environment. Apple cider vinegar is best known for its anti-fungal and antibacterial properties. Although it is acidic, like lemons it becomes alkaline once ingested. For this reason it is taken to help restore the body’s pH balance. It is also due to its acidity levels that it is used as an eco-friendly anti-bacterial. Use it as a food preservative that inhibits the growth of harmful bacteria and to keep food from spoiling too soon. Do not drink apple cider vinegar undiluted as it is too acidic on tooth enamel. It can also irritate delicate internal tissue. Start with a weak solution and slowly increase to find the balance of ACV to water that suits you. Also, when taken on a regular basis it is generally not necessary to take it in large amounts.